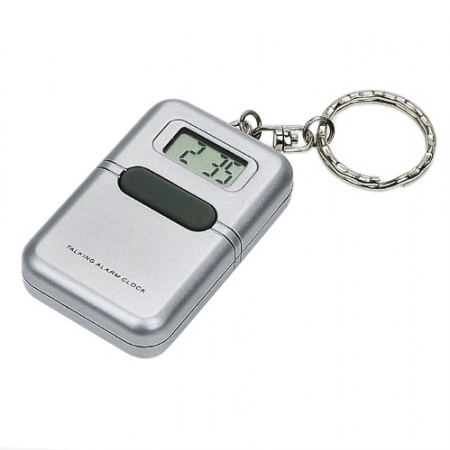 This handy keychain alarm clock fits easily in your pocket or handbag and you just press a single button to hear the time in a clear, friendly female voice. The clock also features an alarm with snooze, an hourly time announcement setting and a digital time display. Ideal for people with sight loss or dementia. Fits in pocket or handbag. Loud clear English female voice.